Alicia: I know. Who isn't? 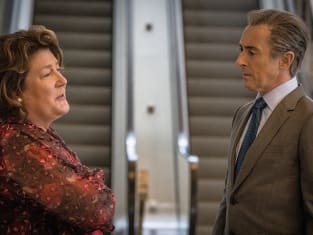 The Good Wife Season 7 Episode 2: "Innocents"
The Good Wife Round Table: Howard vs. Cary! Freedom. The best thing to happen to anyone. Permalink: Freedom. The best thing to happen to anyone. Cary: How are things in the bar attorney trenches? Alicia: Same as there only without the fees, resources or muffins. Permalink: Same as there only without the fees, resources or muffins.